(CNN) - Scientists have long thought that animals in Antarctica were isolated from harmful human-linked bacteria, but a new study provides evidence that this is no longer the case. Now, however, researchers have found widespread evidence of human-linked pathogens among Antarctic seabirds for the first time -- which they say could have devastating consequences for the continent's wildlife. "This is the first time that such a wide-ranging study, in terms of geography and bird species, has been carried out in the Southern Ocean, which shows reasonably solid evidence of reverse zoonosis in the Antarctic," study author Jacob González-Solís, a researcher in the Department of Zoology and Biological Anthropology at the University of Barcelona, wrote in an email. The team took samples of feces from more than 600 adult seabirds in four locations -- Livingston Island, Marion Island, Gough Island and the Falkland Islands -- between 2008 and 2011, with three findings suggesting reverse zoonosis. "If these pathogens were able to arrive, so will others," Cerdà-Cuéllar wrote in an email. "We can say that any [Antarctic] bird or mammal could be affected by a zoonotic agent." "This means that sooner or later human activity will introduce pathogens to Antarctic fauna that could cause mass deaths and even local extinctions," González-Solís said. "There are various possibilities, the most likely is contact between Antarctic and sub-Antarctic fauna with domestic birds in sub-Antarctic communities such as the Falklands, but they could also be the legacy of old whaling missions, Antarctic research stations and the growth in Antarctic tourism," González-Solís said. 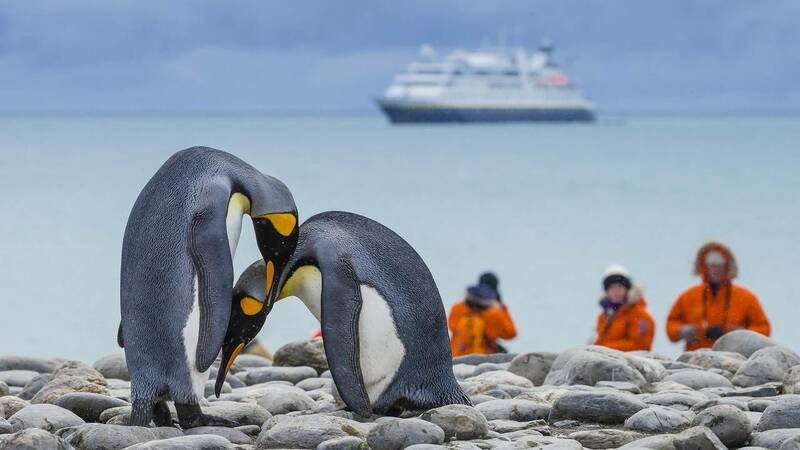 "To prevent the arrival of pathogens, stricter biosecurity measures will be necessary in order to limit the impact of humans in Antarctica," Cerdà-Cuéllar said. According to Jonas Bonnedahl, lecturer in clinical sciences in the Department of Clinical and Experimental Medicine at Sweden's Linköping University, humans have spread pathogens in the Antarctic that have, on rare occasions, spread to wildlife. "I also think it is fair to say that it is the permanent research bases that have to be blamed here, rather than the tourism industry," Bonnedahl, who has researched human-linked bacteria in the Antarctic and was not involved in the study, wrote in an email. "Much has happened in the last years and I think that most nations now put more effort in biosecurity concerning sewage from research bases." The Himalayan kingdom of Bhutan is another destination that attempts to control visitor numbers, with a "high value, low impact" tourism policy that sees visitors charged $200 or $250 per day, depending on the time of year. And South Africa's famous Otter Trail coastal hiking route has such a limited number of places available that hikers have to book up to a year in advance.